The location of San Diego’s Plaza de Panama’s is unbeatable—it sits at the pedestrian gateway along El Prado, the main boulevard, and is surrounded on all sides by cultural institutions and attractions, including the San Diego Museum of Art, Sculpture Court Café, Mingei International Museum, The Timken Museum of Art, and the park visitor center. Yet despite its prime setting, the Plaza was a largely empty expanse, having recently been converted from a parking lot. 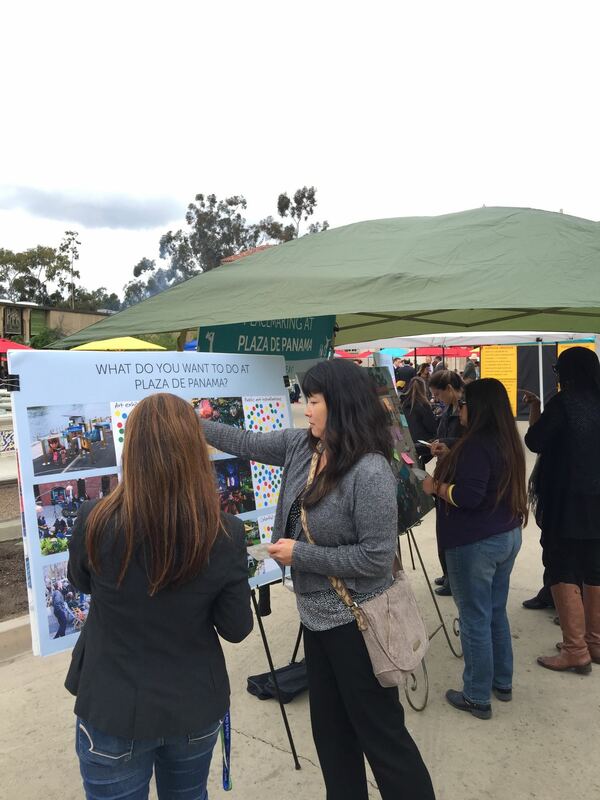 Early in 2014, PPS and the Southwest Airlines Heart of the Community Program partnered up with the Balboa Park Conservancy to reimagine and activate the Plaza de Panama as an outdoor central gathering place for San Diego’s Balboa Park. The partners hoped to encourage adjacent museums and institutions to have a stronger presence on the Plaza through programming and outdoor displays, to provide a fun and flexible environment for visitors of all ages to enjoy, and at the time, to contribute to the building excitement for the centennial of the park. 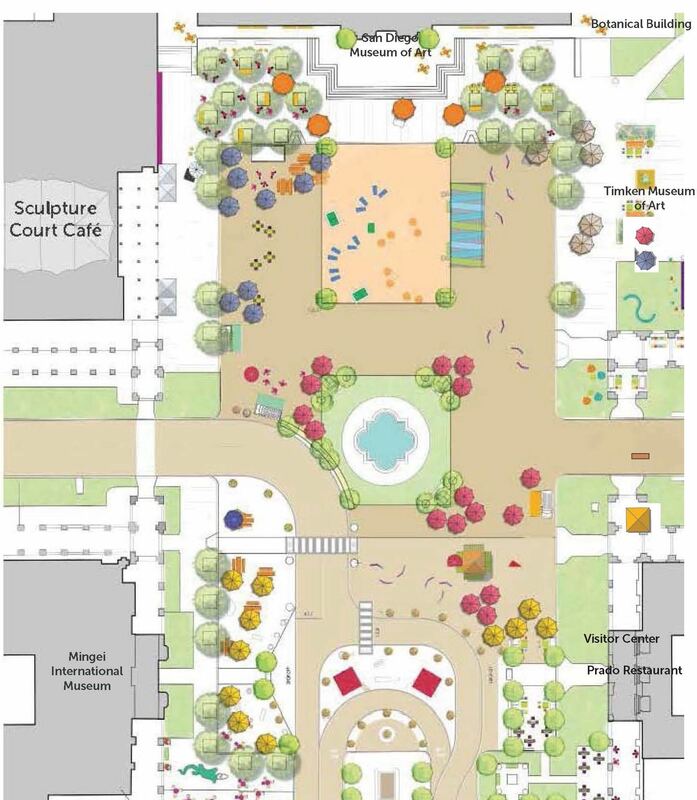 In response to valuable input from stakeholders, many of whom represented the cultural institutions surrounding the park, the Southwest Airlines Heart of the Community grant supported PPS’ recommended enhancements to the Plaza — new amenities like tables, chairs, umbrellas, benches, games, and an “outdoor living room” and lawn for lounging. 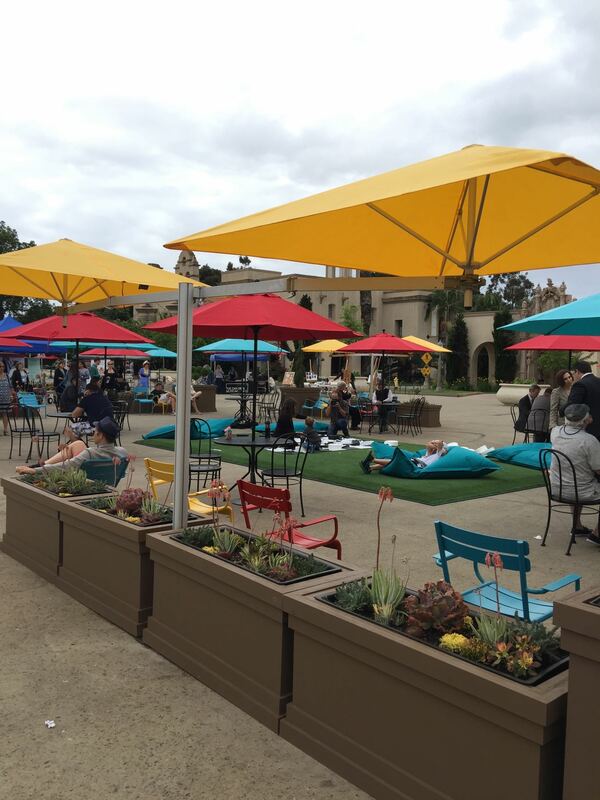 The space now caters to the millions of annual guests to Balboa Park and the institutions it houses. Specially-crafted presentation panels allow the adjacent museums to have their collections and exhibits spill outside in to the public realm. Ample open space plays host to performances and special events, drawing people to the previously underused space. 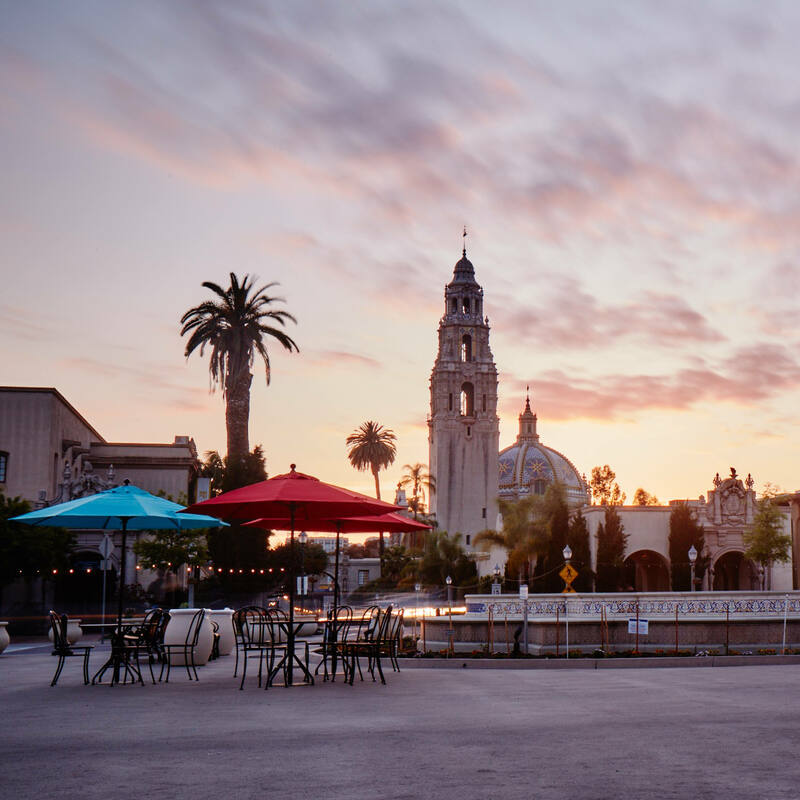 The Plaza showcases and celebrates the diverse identity of the Balboa Park community and San Diego, providing a place for residents and visitors to relax and soak in the incredible civic treasure all around them. additions to Plaza de Panama help elevate the Park as one of the world’s top destinations. Various activities, interspersed with colorful new chairs and umbrellas, create an oasis in the park. 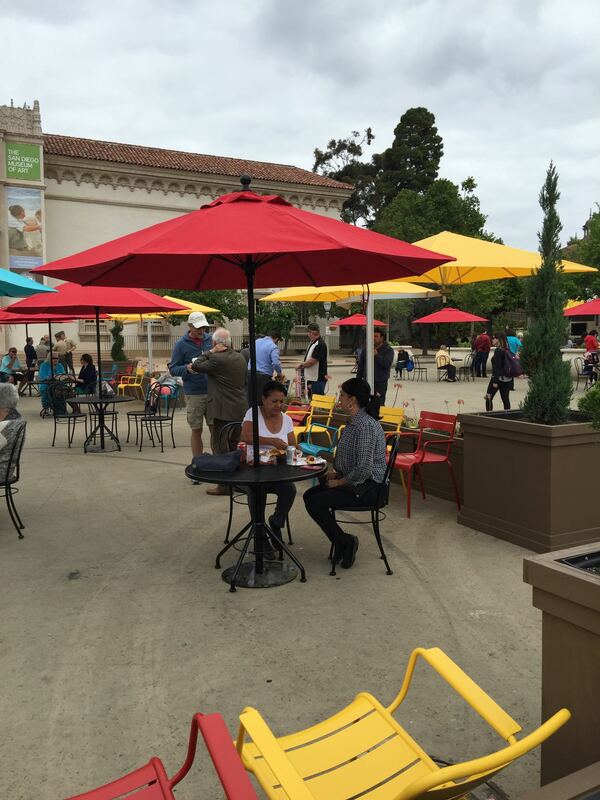 New chairs and umbrellas add ample seating options to the plaza. Participants workshopping ideas for the space.